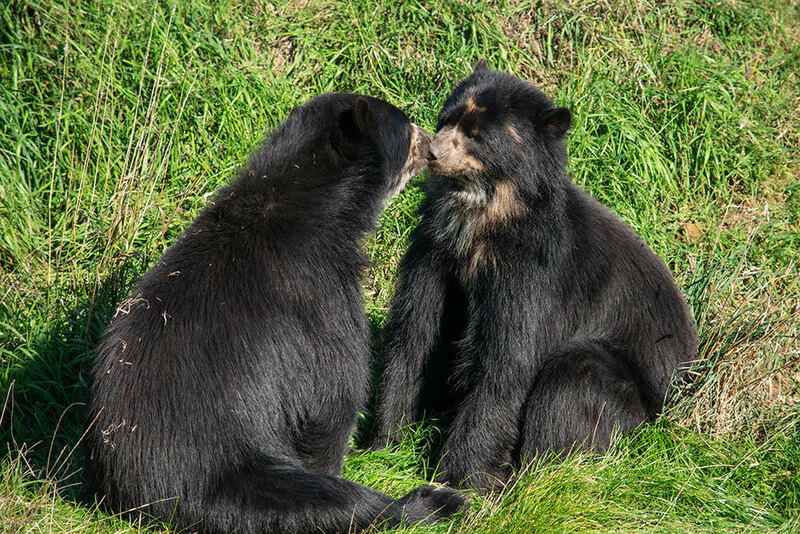 Two Spectacled Bear brothers, who have been residing in North Somerset, have gone on a Scandinavian adventure. In an emotional farewell, Sonco and Tupa, the 5-year-old bears, have moved to Denmark to Givskud Zoo. As part of the European Endangered Species Breeding Programme (EEP), the boys have travelled to Denmark and will hopefully start their own families in the future. 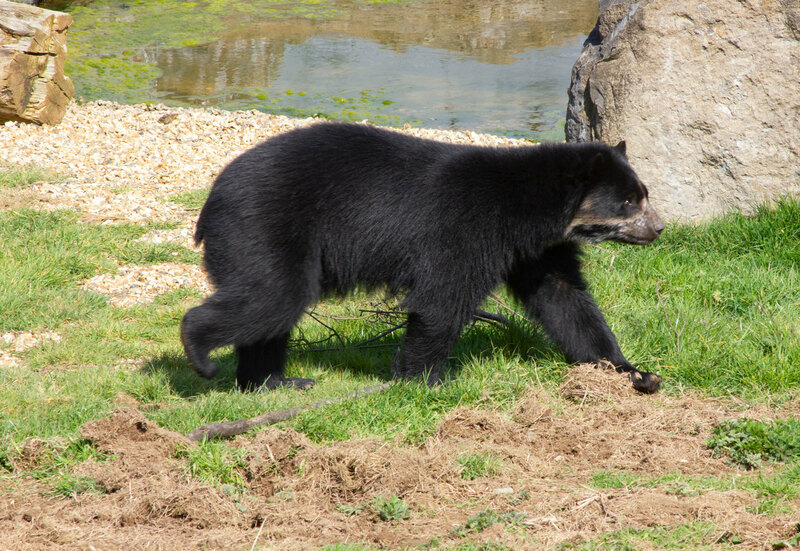 On the same day, Noah’s Ark Zoo Farm welcomed, Rasu, a two-year-old male Spectacled Bear who travelled to North Somerset from Zurich, Switzerland. Rasu is spending his time getting used to his new enclosure, Andean Adventures and meeting his new friends, a band of 16 Coatis. Coatis are members of the Raccoon family from the Americas. The mixed exhibit is providing lots of entertainment for the young bear who will shortly be joined by another Spectacled Bear.